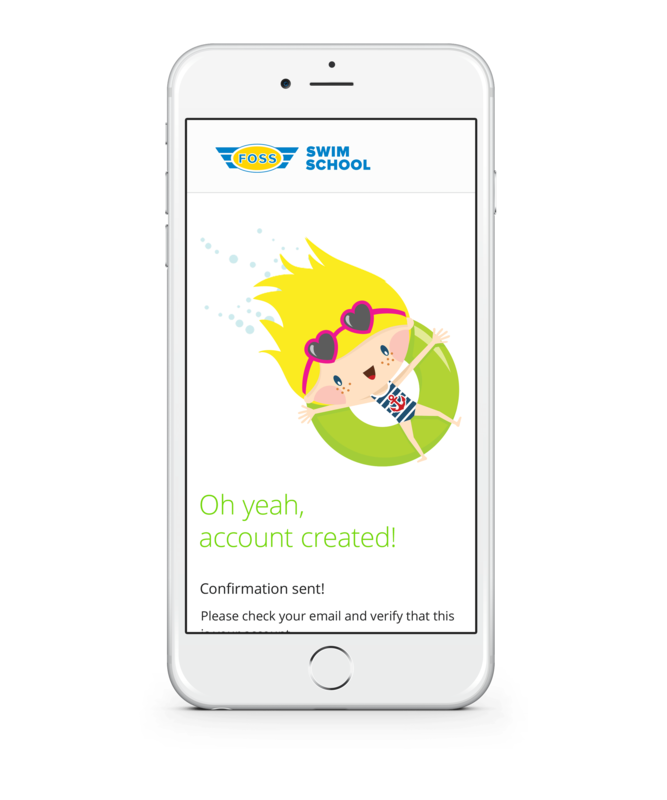 We created a digital platform that eases class registration, survey completion, and enables deeper engagement with customers. After 24 years, FOSS Swim School had built an excellent reputation for providing quality swim instruction. But as legacy technologies slowed down internal processes and feedback from parents did not reach instructors in an impactful way, FOSS sought to improve engagement with its customers. 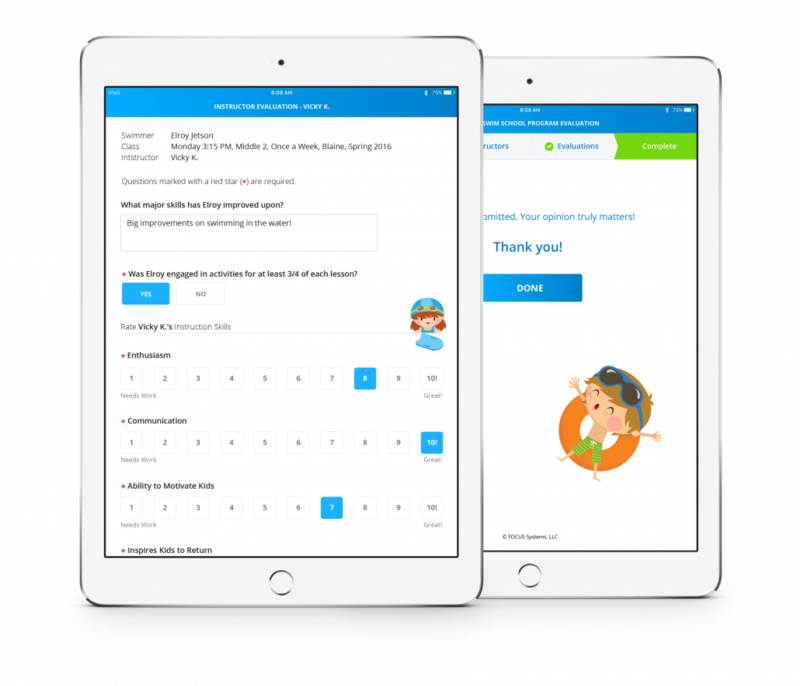 A new technology platform would facilitate the collection of actionable data, furnish parents with better tools to track their children’s registration history and progress, and provide an efficient means to leave instructor feedback to fuel continuous improvement. Stakeholders convened onsite at the FOSS facilities, in our Minneapolis headquarters, and with developers in Bulgaria to ideate and build software designed to improve FOSS’s internal processes and interactions with customers. From FOSS staff to swim students, designers met with future end-users to understand their needs and the pain points that the new software would eliminate from existing registration and feedback channels. Our developers leveraged capabilities in AngularJS, .NET, and SQL Servers to deliver a robust web experience, providing interfaces functional across platforms that support communications between customers and staff. iPad-based questionnaires provide outlets for parents to share comments and concerns in real time. The software compiles and presents data so that it is immediately actionable, empowering the FOSS staff to identify and respond to customers’ needs in a more rapid and effective way. The technology also provides parents with better tools to enroll and track the progress of young swimmers over the course of their curriculum. The rich interface illustrates enrollment history, pending and actualized enrollments, as well as functions that enable general account management and the ability to update contact information. 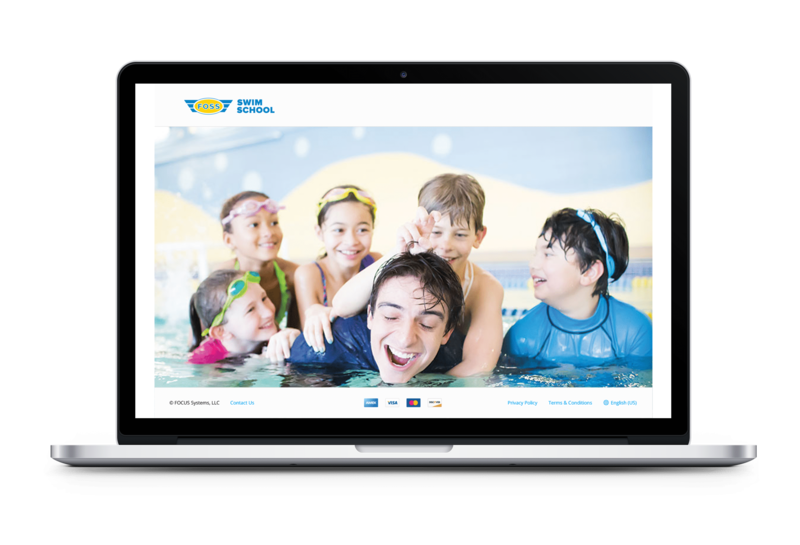 Beyond improving the registration and feedback processes, the solution equipped the FOSS team with the resources to grow the company’s ability to teach and empower young swimmers. Customers now have an even more efficient platform to share comments or concerns, and the staff can continuously refine their teaching as they receive and track customer feedback in real time.